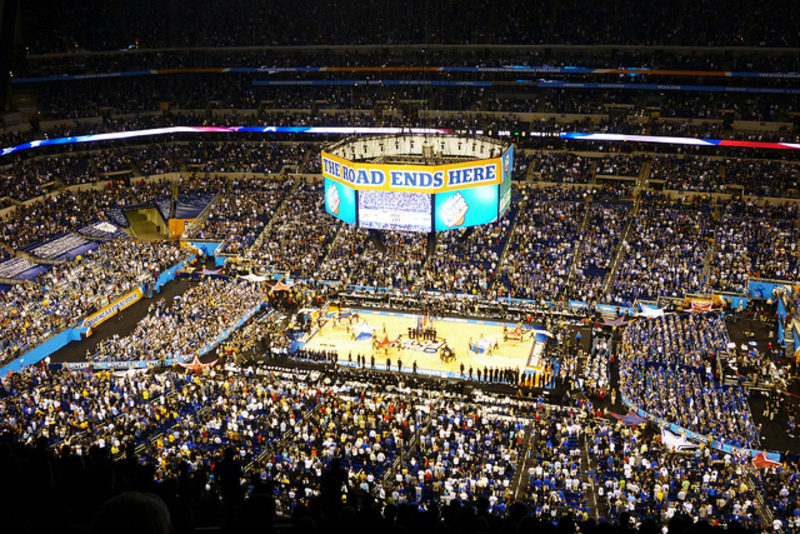 The Final Four is one of the biggest sporting events of the year. It’s so big, in fact, that the NCAA mandates that it takes place at a stadium with a seating capacity of 70,000. Yes, that means that the Final Four can never be held at the Garden, which might be the greatest sports spectacle of all-time. That brings us to our Question of the Week. Get it right and keep dancing, Cinderella. The answer, as always, is after the jump. Answer: Izod Center, or as it was known back then Continental Airlines Arena, was the home of 1996 Final Four, which saw the University of Kentucky defeat Syracuse for the National Championship.